Japan International Cooperation Agency (JICA) consultant Hiroshi Kato with his book. Photo: Taraivini Seru. Well maintained maritime infrastructure is vital in connecting maritime islands for economic activities and social upgrade. 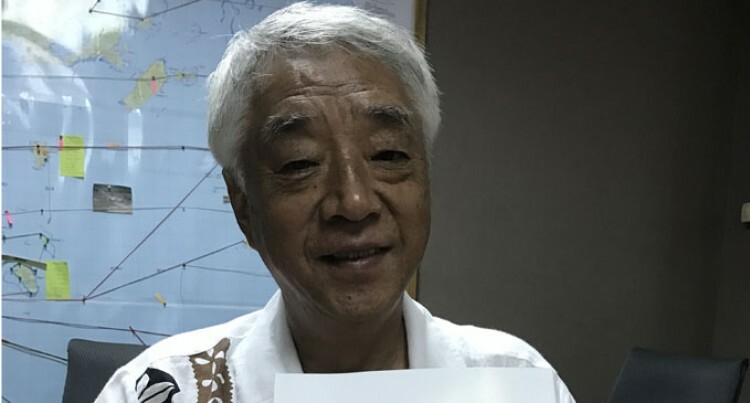 Ministry of Infrastructure and Transport, Japan International Cooperation Agency (JICA) consultant Hiroshi Kato reflected on these issues in his book titled Jetties and Landings in Fiji for Public Transport. In the book Mr Kato recommends that wharves, jetties and landings should be monitored and maintained to minimise the loss of asset value and extend the life span of the marine structures. “Public jetties and landings around Fiji are a concern as they drastically need upgrade to serve their purposes,” Mr Kato said. “Having proper and well maintained maritime infrastructure is important as they connect small islands to the two main islands – they are important enablers to achieving economic, social and community outcomes,” Mr Kato said. “A lot of jetties in the Northern division damaged and affected by Tropical Cyclone Winston in 2016 need to be fixed at the soonest,” he said. “However, most of other jetties and landings are damaged because they are not well maintained. Sea water, rain and sun make their conditions worse. “Piles and concrete at Port of Suva, Port Mua-i-walu and the Government wharf at Walu Bay are damaged from cargo handling operations. “Very slight attention had been paid to the existing situation of island jetties – majority are a risk to use,” he said. “The book has basic information on the 32 public jetties throughout Fiji. The JICA expert has been with the ministry the last two years; he returns to Japan in March. He was with the Japanese Ministry of Transport for more than 30 years as a civil engineer – where he was an expert in port planning. Northern Division Jetties – Nabouwalu, Savusavu, Saqani, Rabi, Black Point, Waiyevo and Labasa Town landing. Eastern Division Jetties – Lomaloma, Cicia, Lakeba, Moala, Totoya, Matuku, Koro, Mokogai, Qarani, Nawaikama, Kavala, Vunisea; wharves: Rotuma, Levuka. Western Division Jetties – Yasawa-i-rara; Wharves: Ellington, and Lautoka. Private: Vuda Point and Denarau. Bau Island; Landing – Bau, Nakelo, Nasali, Lokia, Navua Boat River; Wharves: Suva, Mua-i-walu, Government Shipping.